BEVERLY HILLS, Calif. (AP) — Colleagues and friends of Whitney Houston gathered Tuesday night to screen “Whitney,” a new telefilm about the beloved entertainer’s triumphant career, often troubled life and tragic death. 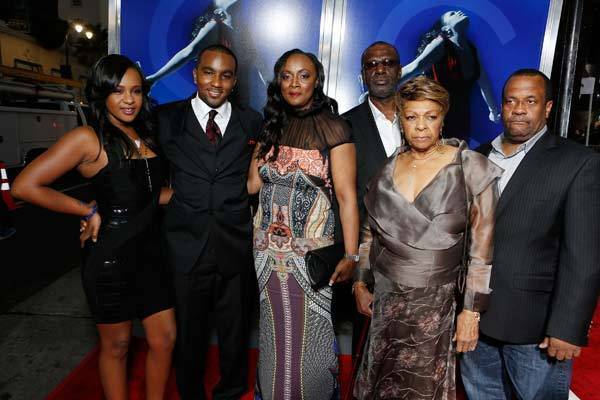 But Houston’s family was conspicuously absent from the premiere, which took place at the Paley Center for Media, located just blocks away from The Beverly Hilton hotel, where the 48-year-old Houston drowned in her guest room in February 2012. The official coroner’s report listed heart disease and cocaine as contributing factors in her death. Relatives were invited to participate in the “Whitney” project from the start, explained Angela Bassett, the Oscar-nominated actress marking her feature-directing debut with the biopic, which debuts Jan. 17 on the Lifetime cable network. And at least the family could breathe a bit easier knowing Bassett was at the helm. The “Whitney” director and Houston worked closely during production and promotion of the 1994 big-screen drama “Waiting to Exhale,” and Bassett expressed fond memories of her co-star. Nevertheless, without the family’s blessing, the “Whitney” production was not allowed to use Houston’s original recordings. So, to deliver something approximating Houston’s remarkable voice, Bassett hired singer Deborah Cox, Houston’s one-time label mate, recording partner and long-time friend. Cox took the gig, even if it was destined to be a thankless one. As did actress Yaya DaCosta (“Lee Daniels’ The Butler”), who said she took on the role of Houston concerned about just one critic: Houston herself.